A great bow on Gibson Houseboats. We chose Gibson houseboats because of the space, speed, and the comfort they provide. I can cruise at hull speed, or I can put the throttles down and get up and go at planing speed to get away from incoming storms. One of the major advantages of a new Gibson houseboat is that they have a good sized catwalk so that my wife can easily get around the boat for docking purposes, which makes my life much easier. It has a good sized cuddy cabin down below, so we can have guests stay over for those weekend parties, and they can sleep in comfort without feeling like they are in the way. Overall, my wife and I love our Gibson house boat. Feel free to use the "Click here to post comments." link found near the bottom of this page. I can see a small pencil size hole under the water tank, water coming in about gallon an hour. Can I plug this hole from inside, or will this leak just come in somewhere else? How thick is hull? I am needing to replace the bilge plumbing on a Gibson 44, 1983 vintage, as these are rotten and leaking. I can't see how the lines run, but it looks like the system pumps out the side under the sink in the upper head on the starboard side. Hi, I have had a 2000 Gibson 47 Executive Houseboat with twin fuel injected gas 454 Crusader engines and V-Drives, for about 1-1/2 years. 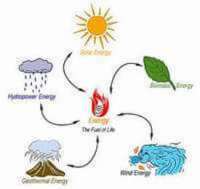 The boat has a high RPM issue with 1 engine reaching a maximum of 2700 RPMs and the other a maximum of 3000 RPMs, instead of the expected 4000 to 4200 RPMs. Multiple boat mechanics have looked at the issue and not found any problems with the engines or fuel system. I also had the props reconditioned and the bottom serviced and repainted when I purchased the boat. 1) Can anyone let me know the type of propeller, diameter and pitch that this boat should have to reach the expected RPMs on top end? 2) Has anyone experienced this problem (not reaching high end RPMs) and the problem turned out to be something other than the props? Any help with this will be greatly appreciated. Thanks in advance. Need to know dimensions. That is height/weight/width. This is a 32'. Please help. I have a 1988 44 foot Gibson. Can anyone tell me where the aft shower sump pump is located and accessed? I have a '86 Gibson 44 that I bought a couple of years ago and have been bringing back to life. It's now to the stage that it runs good and is out on the lake every weekend during our boating season. Now for my next challenge, I've cleaned and waxed the fiberglass slides a couple of time and the blue came out great but the light grey is still dull. Any suggestions would be appreciated. 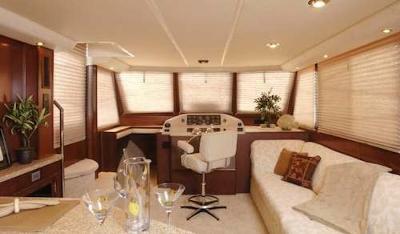 Also need to replace the depth finders on both the main console and flying bridge. Any suggestions for a thru-the hull model that would allow two connected devices? Does anyone have a clue how much a 1986, 36ft Gibson weighs, and how tall it is? I would like to lift my Carlscraft/Gibson 45 to clean and paint bottom. Does anybody know if this can be done with two slings and where are the lifting points? Does any one know the best way to remove the fresh water tank on the Gibson mentioned above. Is Gibson still in business? Does anybody know if Gibson is still in business? Their phone has been disconnected. They have temporarily closed the manufacturing operations down, and they are looking to sell it to someone that will continue the Gibson houseboat line/heritage. Just purchase 1993 37' Gibson Sport. Previous owner replaced gas filled lifters on engine hatch and used wrong lifters. Anyone who has a "large engine hatch" (twin engine compartment) that has operating lifters please have a look and tell me what the # (pound rating is). These hatches are very heavy and I cannot estimate close enough to get the correct lifters. Just bought a 1976 Gibson Houseboat today. Needs some work inside but I think it will be a great boat and meet our needs as a great get away for the summer months. Plan on putting it on a mooring. So many plans for this little gem!!!. We love it!! We have a 1986 36' that has been in the family since shinny and new, we are all a lot older now and true to form the boat still shines. One of the problems I always wondered about it getting air in / heat out when it is closed up for the week. Obviously we can't leave the sliding glass open due to rain. I plan on enlarging the refrigerator vent and maybe adding a thermostatically controlled 12 volt axial fan. The refrigerator temperature is all over the place. I use a wireless indoor / outdoor thermometer that records high and low to monitor. I am also looking at the four 2.5'" vents around the wheelhouse that are only drilled 1" at best. Maybe adding a small fan to one of them too. I have been looking at various window well covers and fooling with cardboard templates for the cuddy and aft wheelhouse windows. Anyone else work this problem out? There are two cartridge type fuses on the port side engine compartment. If they go bad or the connection lugs corrode you will loose all or part of the 12 volt system. 2002 Gibson Houseboat, having trouble with the 12 volt system has stopped working. Can anyone help? I have a 1984 36x12 need to resurface the deck and roof, what should I use? Just completed repairing a 1988 Gibson 36' Classic. Replaced sections of the front deck, middle deck over the dinette and bath. Gel-coated all three decks. Most of the windows starting above the galley and rear dinette area where never sealed properly from the factory and had been leaking for some time between the fiberglass exterior and interior panels. Portions of the support beams above the bath and dinette were also replaced including the interior paneling throughout. It has taken five months to make the boat ready for use. A survey had been done a few months prior to my purchase of my houseboat. None of the items of repair were noted. I had a master wood finisher inspect my boat and he found all the rotten wood by the sound or lack of sound when knocking with his knuckle on the fiberglass decks. Rotten areas have a dull sound. All is finished and I am ready for a great summer. I've tried to get information from the Gibson factory as to their hull construction. No information from the factory, maybe someone out there knows. What resin do they use for their layups? Is the fiberglass hand layed up or by chopper? If the deck is made up of fiberglass over plywood it will eventually fail. Bad resin eventually will result in blisters. Chopper applied layers are also not good. If all of the above apply, maybe this is why their boats depreciate so fast. True, there are some issues with the glass over plywood construction of Gibson decks. However, I speak from experience that they are also the most repairable when issues arise. 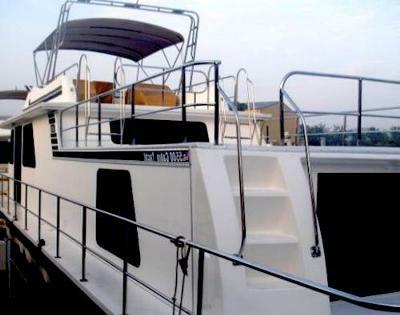 I replaced a 6 x 8 section on my flybridge deck, a 1 x 9 strip in the middle of the salon deck, and a 3 x 3 section where the flybridge ladder bolts to the deck on my 1987 Gibson 44. With matting, resin, filler, and gelcoat spit from a cup gun I was able to duplicate the speckle pattern from the factory, and nobody can tell I did ANY repairs. Now that I know what's involved, I will grind out any spots at the very first sign of delamination. Epoxy is great for small jobs, but not cost effective for big jobs, remember the entire boat was made with polyester resin. Anyway, I love my Gibson and I think they are the ideal for the rivers where we boat! Also, I have walked on MANY spongy molded fiberglass houseboat decks, too. To Andres: the outdrives you have on yours will depend upon the year and engine choice. Mine have 302 mercruisers with TR outdrives. 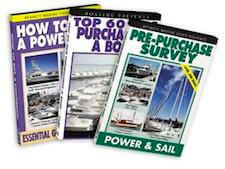 The manuals I have, I bought at my local mercruiser dealer back when I bought my houseboat, best investment I ever made. 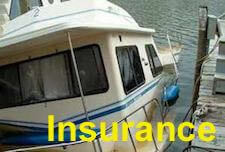 I also have a 1978 Gibson 36ft, would you be willing to post that repair manual for the Mercruiser. I think I have an Alpha II? A lasting houseboat business still around. Some folks may have a lot of things to say about the Gibson houseboats, good or bad, but they are one of the only houseboat companies still in existence. There have been many houseboat companies over the years, in fact a lot of them were spin offs of earlier Gibsons, and Gibson is still going strong. I have personally been in contact with their parts and their restoration department and I have found them both to be extremly helpful when I was restoring my Gibson. So say what you will, good or bad, Gibson is a high quality manufacturer that has been here for along time and will be for some time to come. Time tells the story. Best Gibson Houseboat Engines - carbs or fuel injection? I am looking at two 44 Gibson houseboats. One is a 2000 with fuel injection, and the other a 1998 with carbs. Does anyone have an opinion of either of the two engine setups? They both are in like new condition with low hours. Thanks for your help. Gibson is a decent boat, however the parts department is a JOKE. They don't have any manuals OR schematic and the parts guy is completely clueless. I couldn't get parts even when I gave the guy the numbers and followed up by several emails AND calls! You look at the website for parts and it's a joke as well. You would think after the factory was hit by a storm YEARS AGO, they would get off their @sses and sort the parts out. Yeah I know they don't make all the parts and you can get them cheaper anywhere else, but it would be nice if they were a proper company and you could call them up and say I need this part and they actually SEND IT OUT! Amazed they can still be in business. I just bought a 1968 Gibson houseboat and would like an owners manual to see how it all worked back then, any help out there please. Steve, a new Gibson owner. 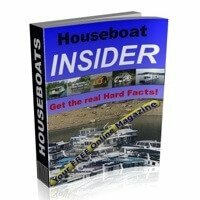 Houseboat Manuals - any Gibson houseboat schematics? I just purchased a 1979 42' Gibson houseboat. I'm looking for a wiring and plumbing schematic for this model, so I will be able to restore some of the functions that have been disconnected or that have broken down over time. There are many wires that are disconnected / cut off, and tracing them will be very time consuming. With a schematic, that time might be greatly reduced. Gibson says that they lost all such infomation in a tornado several years ago. Anybody out there have one they could scan and email me? 50 Gibson houseboat, upper helm steering leaking? A houseboat taking on water? I bought a 1973 Gibson houseboat and it is now taking on water and I cannot find where it is coming from. I do not have a trailer for it and right now I don't have the cash to have it removed out of the water. Anyone had problems with their houseboat taking on water and where was it at? Well Orangetoy, you may have water coming from the fresh water tank, outdrive seals, packings on the driveshafts, or with a through hull fittings. We have had a 42' Gibson Standard for several years, has twin 350's, wet exhaust. Other boaters have hailed us down just to get close and hear the sound of our engines just off idle. No one can believe how the boat planes out at only 2800 RPM. Where is the hull id # on 25 year old Gibson? I cannot find it on the transom. Thanks! I'd like to have a 5900 Gibson (new or slightly used houseboat) in Florida. Where is the best place to put it where I can live on it 6 months a year? I have had a 1992 50 foot Gibson houseboat for 9 seasons now, and we love it !! We've done many upgrades, and we run the boat !!! Gibson houseboat - Love her! We are new houseboaters and haven't even got our 1974, 42 ft Gibson out of dry dock yet. We already love her to pieces and can hardly wait to sail her on her maiden voyage (for us) down the Tombigbee River to her new home in the Mobile Alabama Delta. Thanks to the miracle of the Internet we found her and got to look at and compare hundreds of boats before deciding. We didn?t impulse buy. We looked at hundreds more after we looked at her too just to be sure she was the one. She's old and also a fixer upper. She has deck and hatch problems and the engines have sat up for 2 years. We are putting one new engine in and hoping to restart the other. She's got dual inboard Chrysler 318s. The seller ran out of money and never got to sail her at all and knew little of her previous history. Somewhere a previous owner redid the interior very nicely and somewhere that nice cabin received some minor storm damage and somewhere the last owners did more harm than good trying to fix the deck and engine problems. But its all good and we?ll get it all back together. We knew the Gibson was a nice boat when we started looking at the different manufacturers. We really knew when we saw her. We really wanted a walk around and we really liked the sturdy railings that Gibson uses. We knew this was a quality boat when we saw that the steps to the roof decks were made from plates molded with the Gibson name. The interior layout is well thought out, spacious, and for us, the split-level wheelhouse and salon is a magnificent design. A lot of care went into the details. There is still much of the original woodwork that is still in beautiful condition. And the glass, oh the glass! ?WOW,? is all we could say when we first saw it. And there is something to be said of the older models. The wall-to-wall glass is clear and not tinted. It is like a big floating Florida room! All the repairs won't be done yet but we?ll have the engine work and everything below the waterline completed in the next few weeks for the launch. My wife and I own a 1972 Gibson houseboat 36x12. We purchased this houseboat 5 years ago as a fixer upper, the price was right and it came with a trailer. It needed both mechanical and structural repairs, all of which I was able to do with the help of family, friends and a very helpful marine mechanic. Yes it took time, and some cash but it was all worth it in the end. Both V-8 Mercruisers I/O were rebuilt, the velvet drive transmissions were rebuilt, newer outdrives were installed. The entire deck was all replaced using treated wood for beams and supports, marine grade solid core 5/8 decking was used, and hand laid cloth and fiberglass resin and epoxy paint finished the deck. Having Mercruiser manuals for the mechanicals proved to be a very smart buy. The repair manuals tell how to fix everything mechanical. Finding parts for a 36 year old Gibson houseboat can be trying at times, but so far knock on wood...no problems yet. We boat on the Mississippi River, and enjoy our Gibson immensely and wouldn't have any other boat. Robert. Well Robert, I wanted to thank you for posting an excellent review of older Gibsons. Many of my houseboater friends have Gibsons, and they also are very happy with them. Lastly, hopefully other readers will share and post comments about their Gibson houseboat experiences for us all to read. 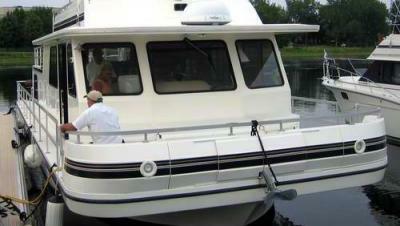 We have had a 36x12 Gibson houseboat for 25 years, and it still looks like new. I can tell you from personal experience. Fiberglass on any Plywood, even the best stuff is a disaster in waiting. Fiberglass is N O T vapor proof, once the moisture gets into the wood, it will rot, slowly or fast, but it will rot and by the time the glass is delaminating you are too late. Solution. Solid glass fiber layup or glass over closed cell foam. Glass epoxy on wood is much better then polyester resin/glass on wood. Straight wood or ply with a clear UV finish, you can see any problems before they get out of control. Thanks to both anonymous and Beached for your comments. It makes sense that when you maintain a vessel properly, and take care of little problems before they get to be big ones, all will work out, whether you're talking car, boat, house or anything else. We are the proud "new" owners of a 1976 Gibson 42' Standard. Does anyone out there have an owner's manual that they would be willing to sell? We are getting ready to move her. Would like any/all comments regarding removal of fly bridge? Can an average Joe figure this out or does it require a professional?? 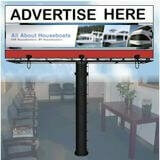 My wife and I attended the 2008 Houseboat Expo in Louisville back in March. We talked to a lot of people and we have learned (both from this show and other places) that a lot of people love their Gibson's. OK, so it's a very popular boat. Understood and accepted. We also heard that there were some problems to watch out for such as the hatch covers and decking material being made of plywood which can get wet, waterlogged and eventually will rot. Any comments, pro or con, from Gibson owners? Thanks so much from a houseboat newbie. 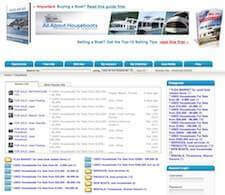 Return to Review of Houseboat Manufacturers .